Columbia River PUD > Customer Service > High Bill Concerns > How does cold weather affect your bill? 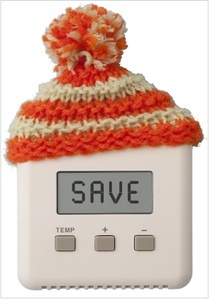 It takes more energy to heat your home when the temperature drops. The more difference there is between the temperature outside and the thermostat setting inside, the harder your heating system will work and the more energy it will use, even if you don’t turn the thermostat higher. This is especially true for homes that don’t have enough insulation, homes with single-paned or aluminum-framed windows, and homes with a lot of air leaks around windows, doors, and plumbing & electrical boxes. Turn your thermostat down a few degrees. Each degree you lower it can save up to 2% on your heating bill. Set it even lower when you are away or asleep but be sure to keep your house at least 55 degrees at all times to prevent pipes from freezing and to avoid moisture problems. Use portable space heaters wisely. If you spend most of your time in one or two rooms, using space heaters to keep those rooms warmer, and turning your furnace down to let the rest of the house stay cooler, can help save energy. This works best if you can close off the rooms you are using, and if you only use one or two space heaters. A typical space heater uses 1,500 watts of electricity and an electric furnace uses 10 times that much. Read more about using space heaters efficiently. Get rid of drafts. If you feel cold air coming in, warm air is escaping. Keep windows and doors closed, and use caulk or weather stripping to seal leaks around windows, doors, and plumbing penetrations. Cover your windows. Tight fitting, insulated window coverings can help minimize heat loss through the windows. Keep curtains and blinds closed unless the sun is shining directly on the glass. Check your furnace filters to see if they need to be cleaned or replaced. Dirty or clogged filters make your furnace work harder, increasing energy usage. Check your insulation levels. If your home is poorly insulated, adding insulation will lower your energy bills. If you heat with electricity, ask us about rebates for insulation upgrades. Upgrade your heating system. If you heat your home with electric resistant heat (electric furnace, baseboards, plug-in heaters, etc. ), consider upgrading to a much more efficient heat pump or ductless heat pump. Discover free and low-cost ways to reduce your energy use and cut your bill during winter months. 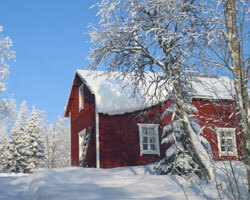 Learn answers to some common questions about winter electric bills. If your energy use is higher than you expect, it might be weather-related. Comparing the average temperature during the month to the same month last year is one quick way to tell if the increase is weather-related. You can calculate the average temperature for your specific billing period on Weather Underground. For example, the average temperature during January 2018 was 44 degrees, which is 11 degrees warmer than the average of 33 degrees in January 2017. This is likely to have resulted in lower energy usage for you in January 2018 than in January 2017. For a more precise look at how temperature affects your bill, you should use degree days. A Degree Day (DD) is the difference between the average temperature for a day and 65 degrees Fahrenheit. If the difference is positive (if it’s warmer than 65), it’s called a Cooling Degree Day. If the difference is negative (if it’s cooler than 65), it’s a Heating Degree Day. In our area, we have more Heating Degree Days than Cooling Degree Days because the average temperature is below 65 more often than it is above 65. Here’s an example: On January 14, 2018, the average temperature in Scappoose was 47 degrees. Taking 65 and subtracting 47, we get 18, so that day had 18 Heating Degree Days. If you know the degree days in a month, you can compare it to other months to get a feel for how much warmer or colder it was. During months with a large number of heating degree days, you can expect your heating bills to be higher. If your bill is unexpectedly high, give us a call at (503) 397-0590 to discuss it. We can review your energy usage patterns and talk with you about payment arrangements that you might qualify for. We can also help you figure out if a home weatherization evaluation would be a good step to take.